Lens Description: From the professional photographer to the amateur photographer, or anyone else who wants to take high-quality pictures, the Nikon Nikkor Ai-S 180 mm camera lens can help make that happen. With the ability to garner crisp and buttery images from up to 20 feet away from the subject, this 180 mm camera lens offers a telescopic manual focus lens that allows for exact focusing. The f/2.8 Nikon Nikkor Ai-S camera lens is designed to give the photographer quick focus in order to capture those quick action shots that are an integral parts of sports and photojournalism. 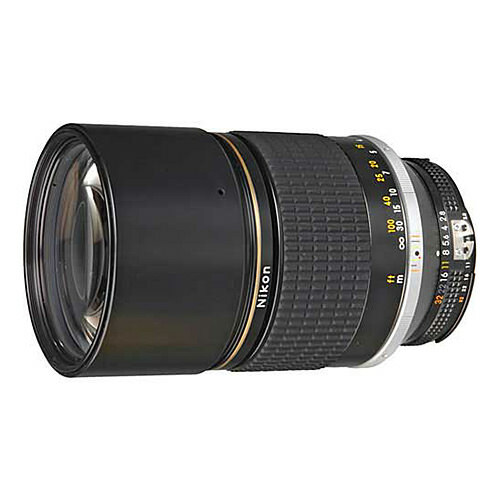 Designed for digital SLR cameras, this particular Nikon ED lens gives a photographer sharp images that allows for easy access to candid shots as well as portraiture. Made of metal, the Nikon Nikkor Ai-S is a lightweight option for a 180 mm camera lens that offers a unique lens hood that, once pulled, allows it to be shaded. For a lens this affordable, this Nikon ED lens has superior sharpness, contrast, and color rendering.